Song on the supermarket loudspeaker: “I wish every day was Christmas.” | Name-Brand Ketchup. Can you imagine if every single day, week after week, year after year, was Christmas?! Shopping to give people presents every day? 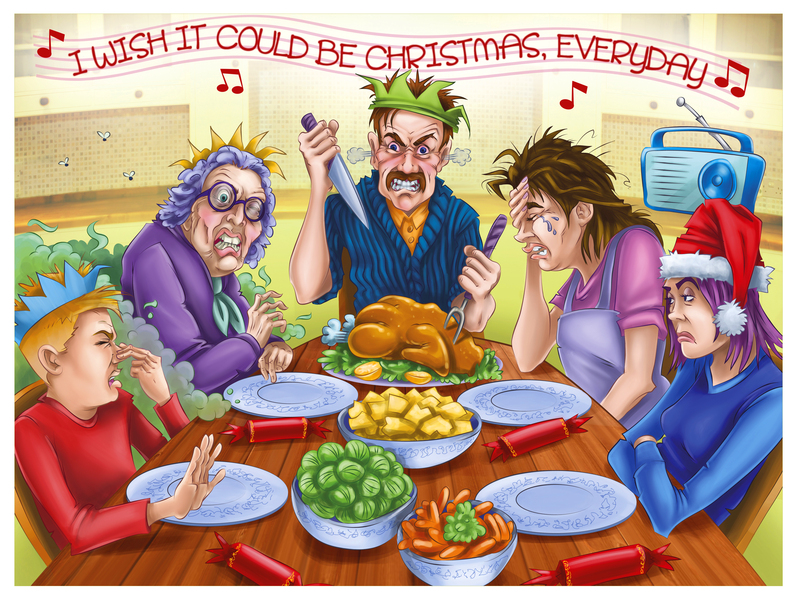 Decorating your home and preparing Christmas dinner every day? Arranging time off of work and traveling to visit friends and family? Virtually every business and office closed? Plus all of your favorite TV shows postponed, and nothing but Christmas songs on the radio… forever?! And what about poor Santa? Having to make that trip every single night of the year? No, it’s probably a very good thing that every day is NOT Christmas.